SpaceAdviser.Com is iBrand of SHARDA SPACEADVISER PVT LTD. a fundamental Real Estate Consultant, having more than 3 decade experiance of area trade in and around Ahmedabad. Our submitted & component gathering of experienced specialists are readied to serve you, whether you are wanting to buy, offer or lease for business, residencial, and Industrial use. You can just find " Best Services From Best In Practice ". The middle purpose of the association has reliably been to direct land trades in order to develop whole deal associations with the amuse of all concerned. 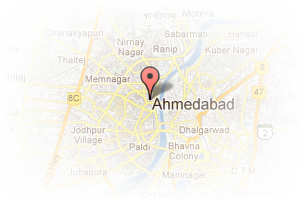 Address: 109, Abhishree Adroit, Near Sunrise mall, Vastrapur, Ahmedabad, Gujarat, India. 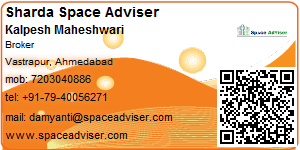 This Broker Profile page for "Sharda Space Adviser Pvt Ltd" has been created by PropertyWala.com. "Sharda Space Adviser Pvt Ltd" is not endorsed by or affiliated with PropertyWala.com. For questions regarding Broker Profiles on PropertyWala.com please contact us.